This navy blue polo shirt by our friends at Mayoral is the perfect addition to your young man's summer wardrobe! Made in soft cotton piqué and patterned with colourful cars, buses, helipcopter and submarines, and the ribbed collar and cuffs are trimmed with a white stripe. 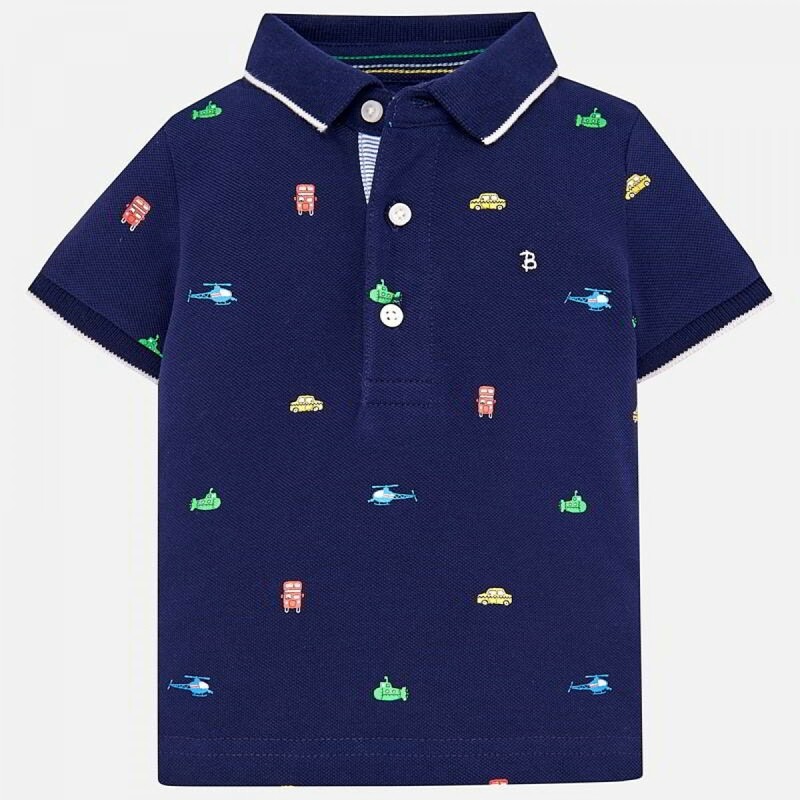 An easy wear essential for any stylish little man this summer, it creates a unique and effortlessly on trend warm weather look that's sure to have him looking amazing. The details are lovely - we love the super stylish patterns.